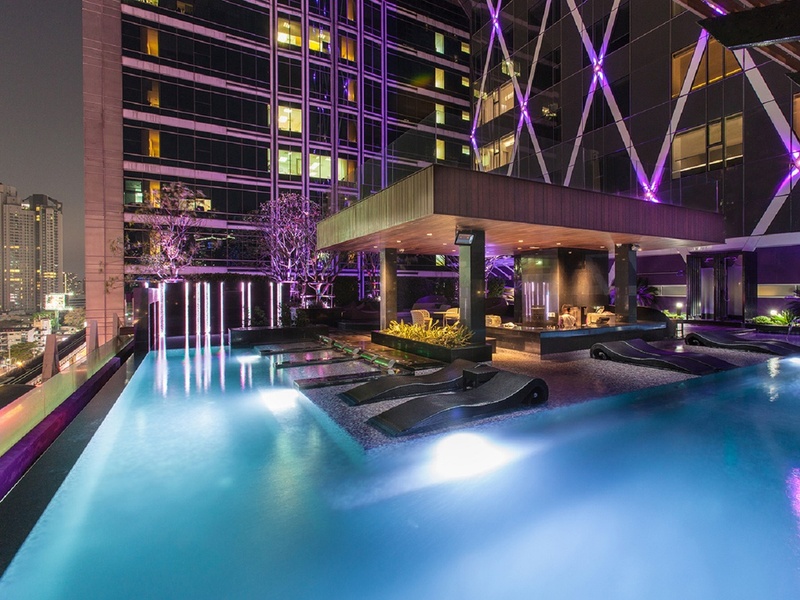 This modern and luxurious 37 storeyed hotel with a rooftop bar, lavish air-conditioned bedrooms with comfy beds and an infinity swimming pool on the 11th floor is indeed a great place to stay for you. 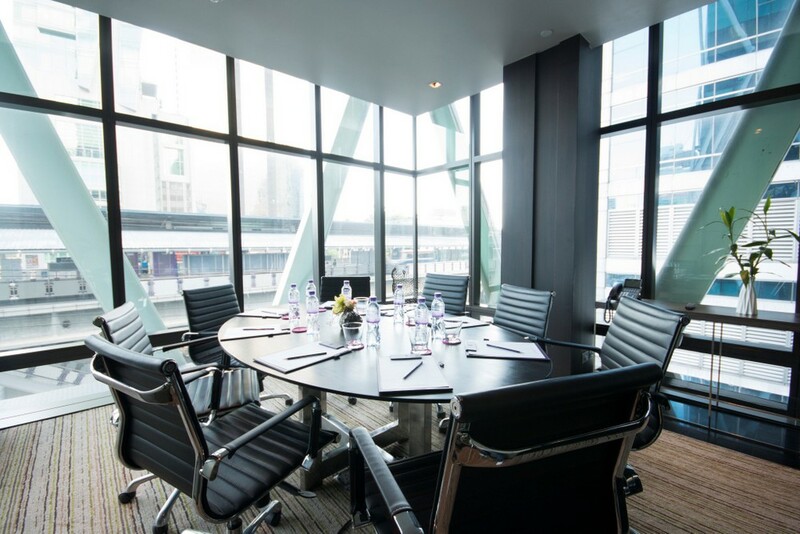 The hotel also enjoys a convenient location close to the skytrains and the staff is welcoming enough to make your stay worthwhile. 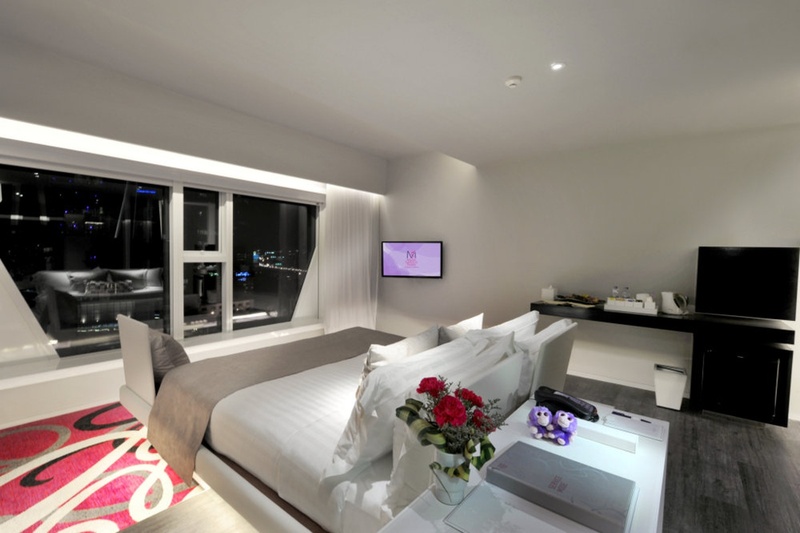 Mode Sathorn Hotel Bangkok is one of the top-rated 4-star properties in Bangkok. 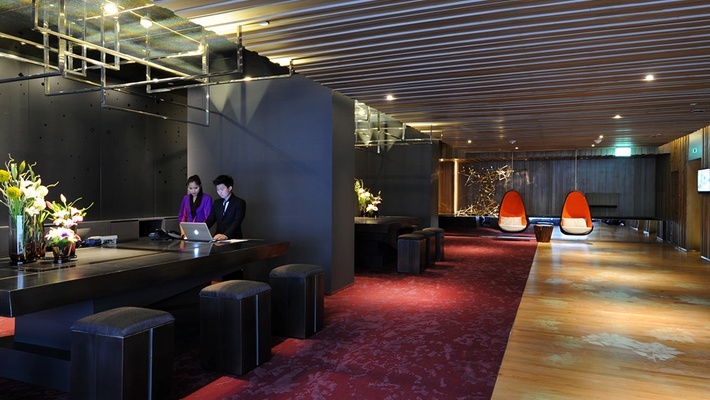 Known for offering warm hospitality to all its patrons, this hotel is ideal for leisure as well as business travelers. 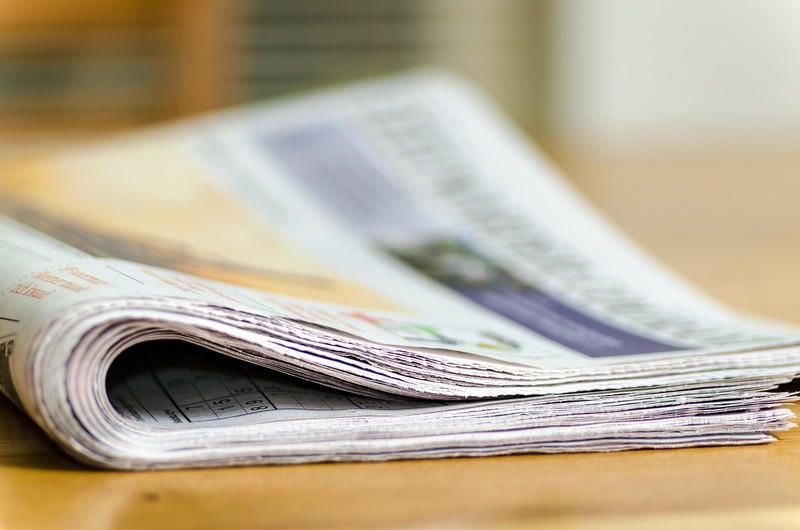 The hotel offers a variety of services and amenities to the guests. 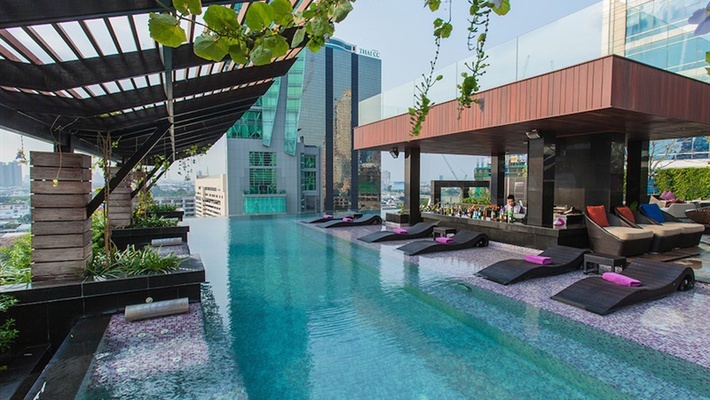 Mode Sathorn Hotel Bangkok maintains an in-house wellness centre, namely Borisud Pure Spa, an outdoor infinity pool and an in-house fitness centre for its guests to enjoy some leisure time at the hotel premises. 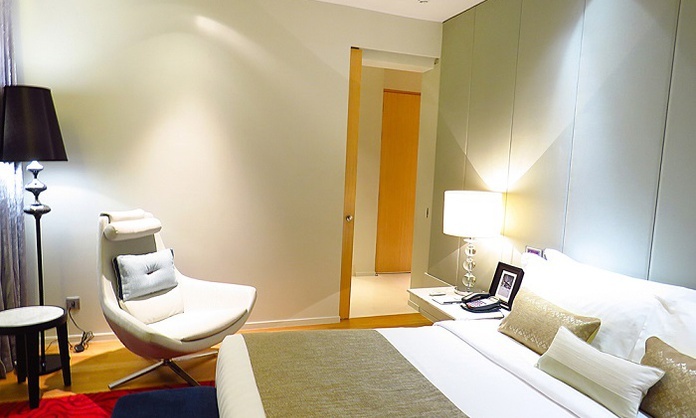 Mode Sathorn Hotel Bangkok is a premium hotel which houses large and well-maintained rooms. The rooms at the property come with all the functional amenities and services, which are required by the tourists. 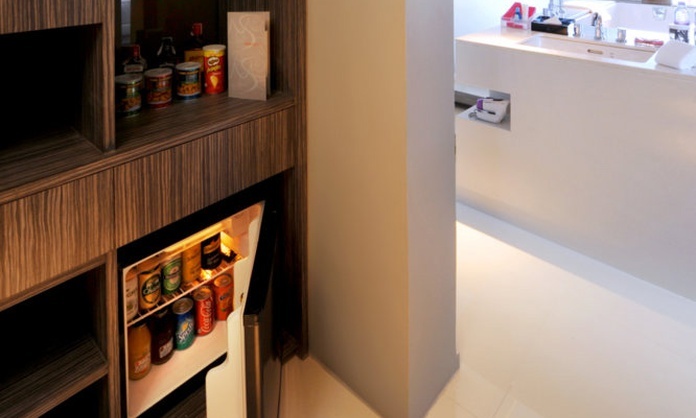 This boutique hotel promises to offer impeccable services to its patrons. 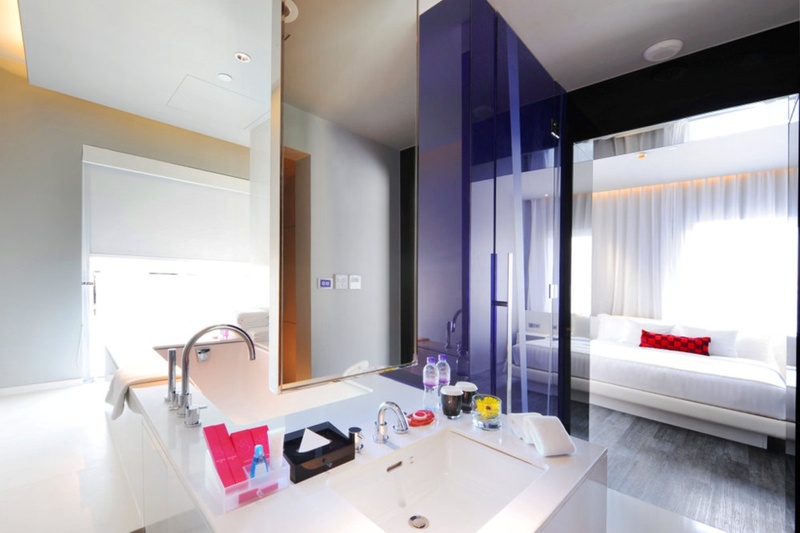 Mode Sathorn Hotel Bangkok is also located at a near distance from several tourist attractions. Some of them include Wat Pho, Wat Arun, Temple of the Emerald Buddha and Victory Monument. 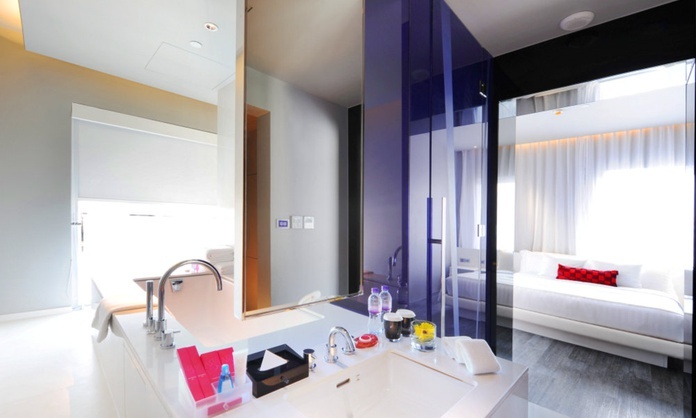 Mode Sathorn Hotel Bangkok allows its guests to choose from a wide variety of accommodation options. Guests can choose from Business Studio, Deluxe Mode Room, Executive Mode, One Bedroom Suite, Two Bedroom Suites and Presidential Suite. 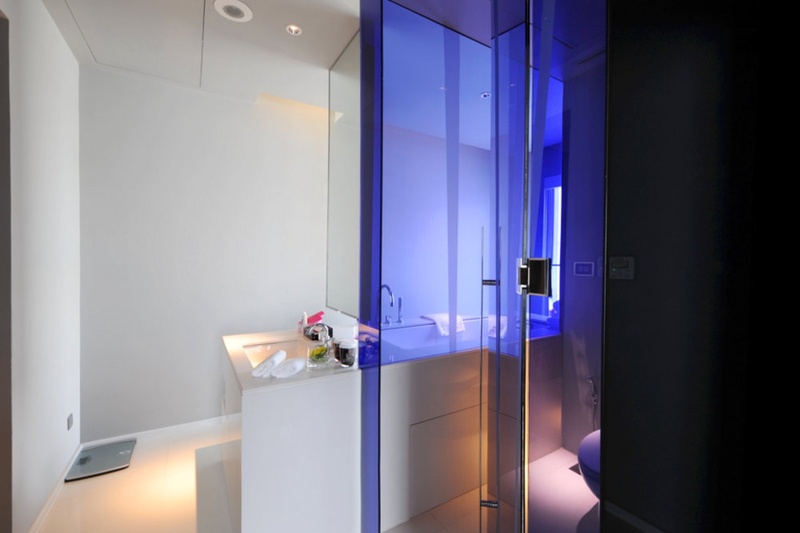 All the rooms at the hotel are carefully designed, which perfectly demonstrate the contemporary setting of the hotel. All the rooms are accompanied by a spacious private balcony overlooking the views of Chaopraya River and the surroundings. Each room of the hotel is well-equipped with all the necessary amenities and facilities. 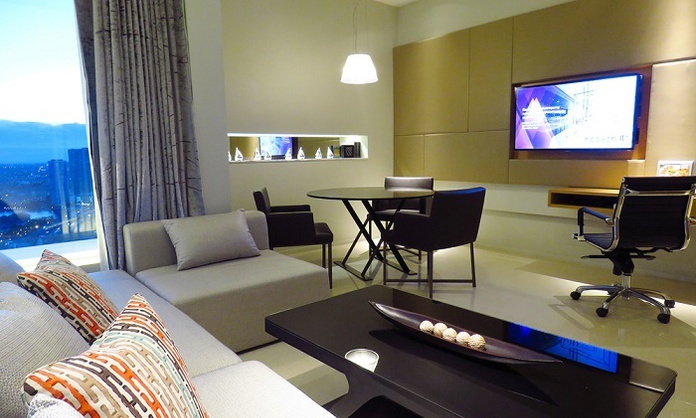 Some of the services provided at the rooms are LED TV sets, wardrobes, a mini bar, air-conditioners, attached bathrooms and free access to Wifi. 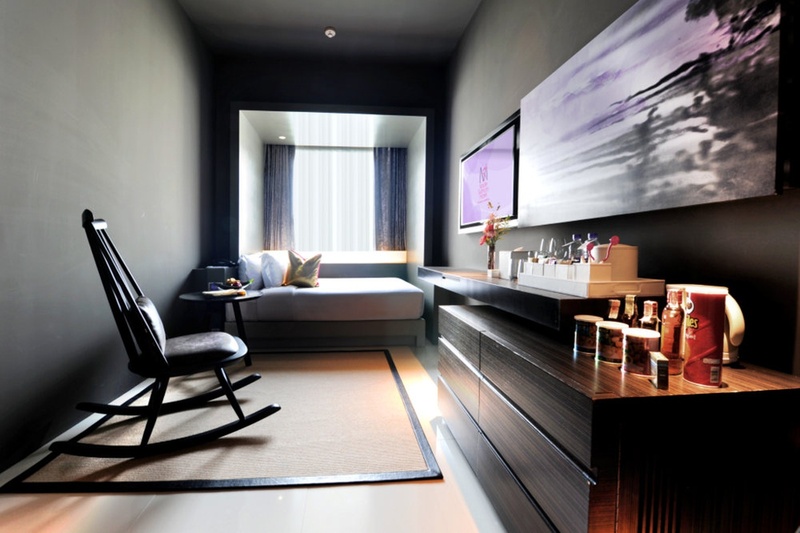 Mode Sathorn Hotel features all the exclusive services and amenities for their patrons. 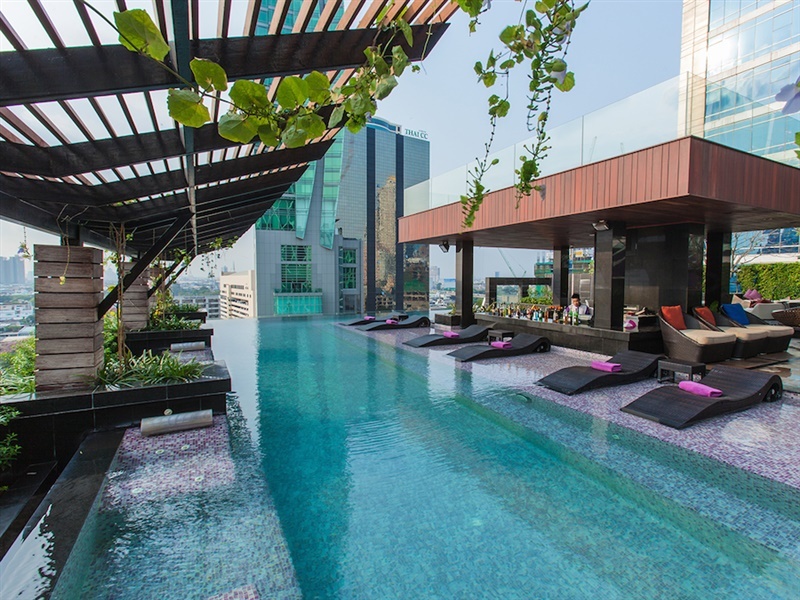 The property maintains an outdoor infinity pool overlooking the splendid vistas of the skyline of Bangkok. Further, guests can take pleasure in a full range of therapeutic massages and beauty treatments offered at the in-house wellness centre of the hotel, namely Borisud Pure Spa. Also, the in-house fitness centre of the hotel comes well-equipped with all the necessary cardio machines and exercise benches. One can keep a check on the fitness routine during their stay in Bangkok. 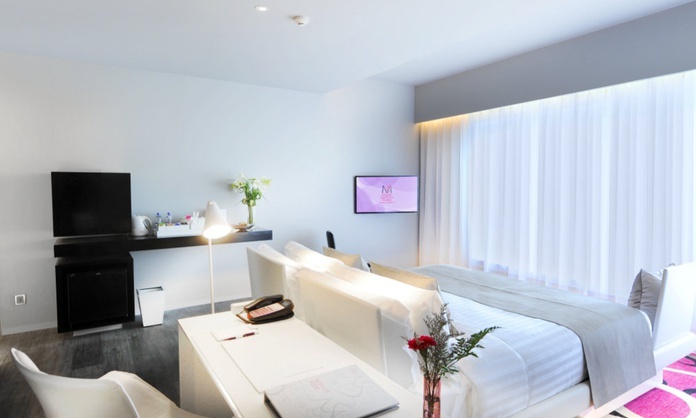 Moreover, Mode Sathorn Hotel offers airport shuttle, laundry, luggage storage, currency exchange, tour desk and 24-hour front desk facilities to all the tourists. 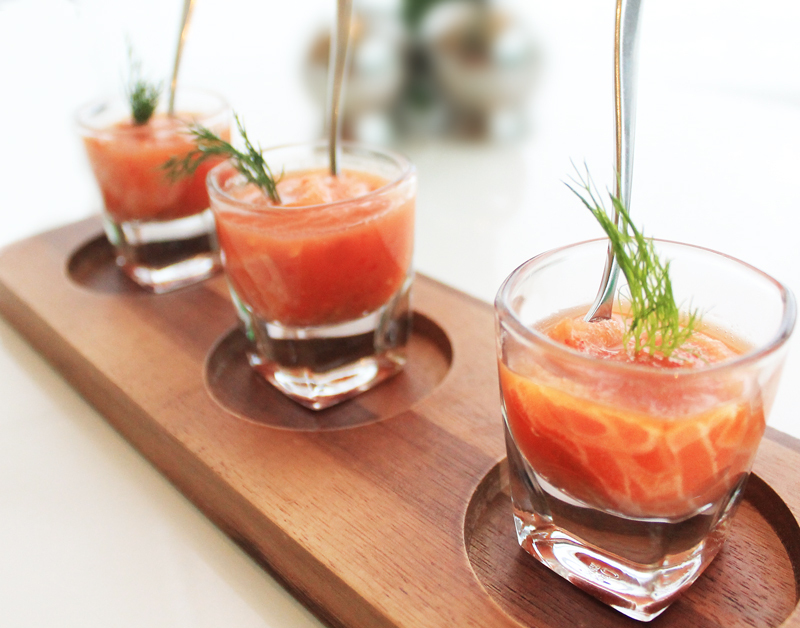 Mode Sathorn Hotel offers an immaculate dining service to all its patrons. 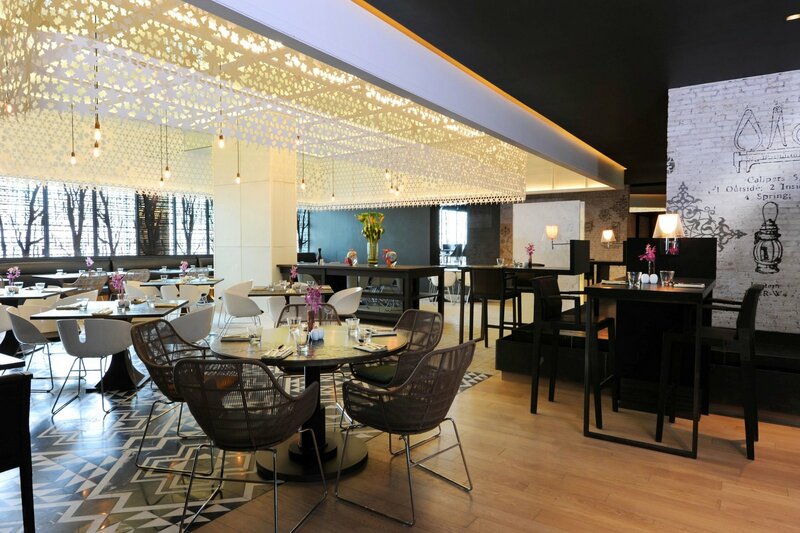 The Sathorn is the main eatery of the hotel, which offers lip-smacking buffet breakfast. Guests can enjoy freshly made dishes and witness what the skilled chefs of the restaurant are cooking. 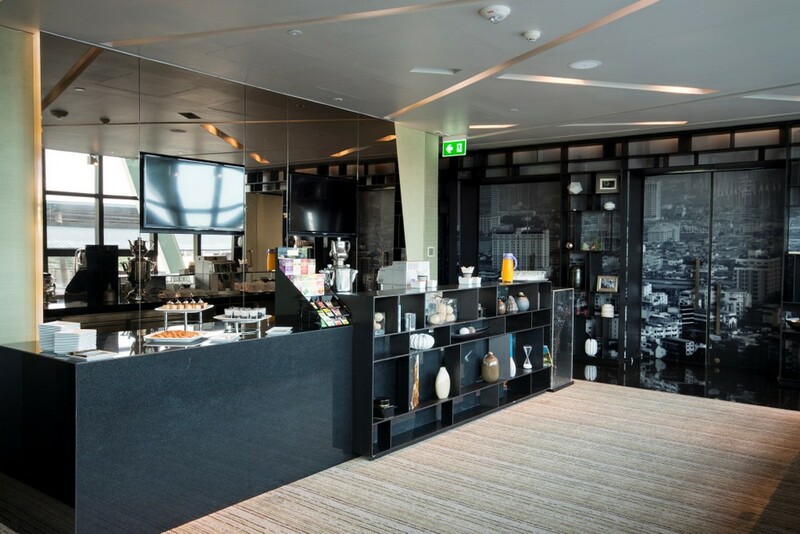 The Sathorn serves breakfast from 6 a.m.-10:30 a.m. Further, The Roof @ 38th Bar is an open-air bar of the property, which is sited on the 38th floor of the hotel. 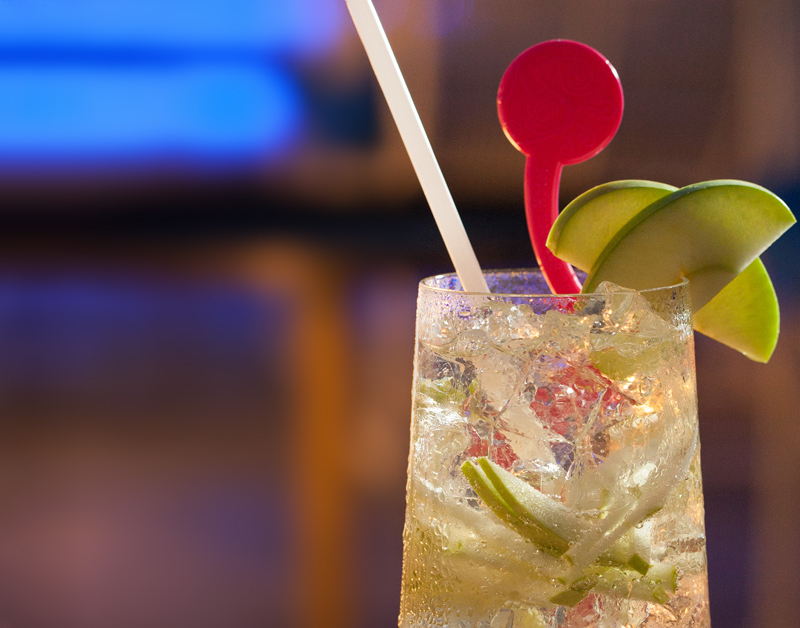 Guests can enjoy some amazing drinks and cocktails while enjoying the splendid vistas Chaopraya River. 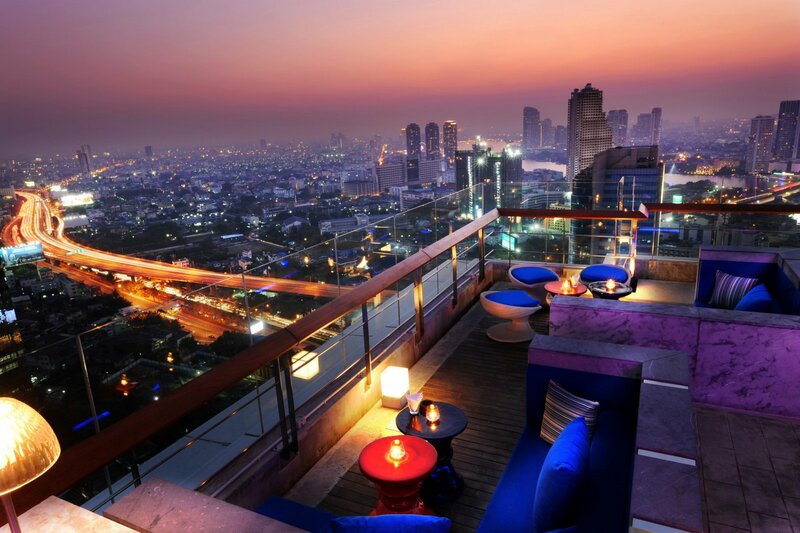 Tourists can also visit the nearby bars and restaurants to experience the nightlife of Bangkok. 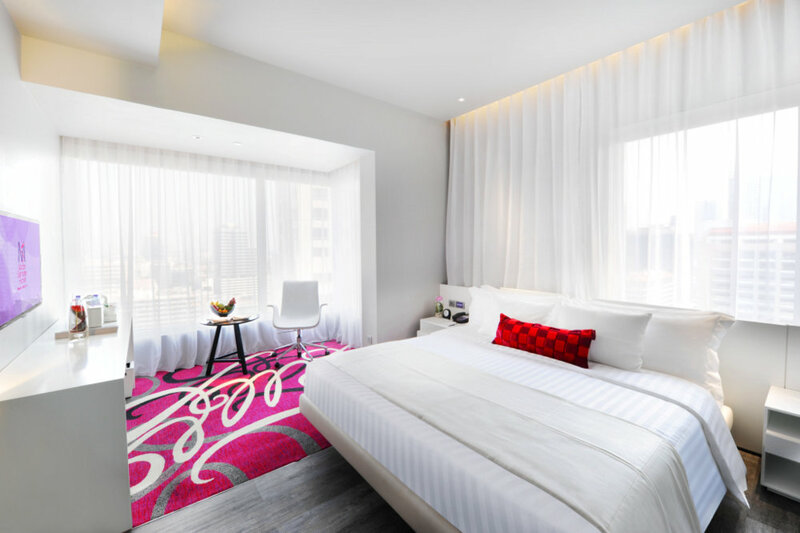 Mode Sathorn Hotel proudly boasts of its elegant and classic design that comes along with the warm hospitality offered by the staff members of the hotel. Further, located near to several shopping arcades and tourist attractions this premium hotel will definitely keep its guests engaged. 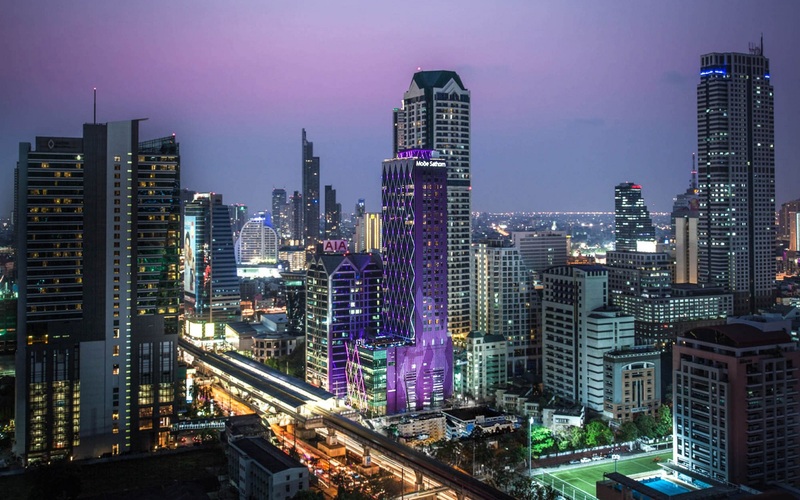 What is the distance between the Mode Sathorn Hotel and the International airport? The hotel is approximately 36 minutes drive from Don Mueang International Airport. List some of the things to do in and around the hotel. 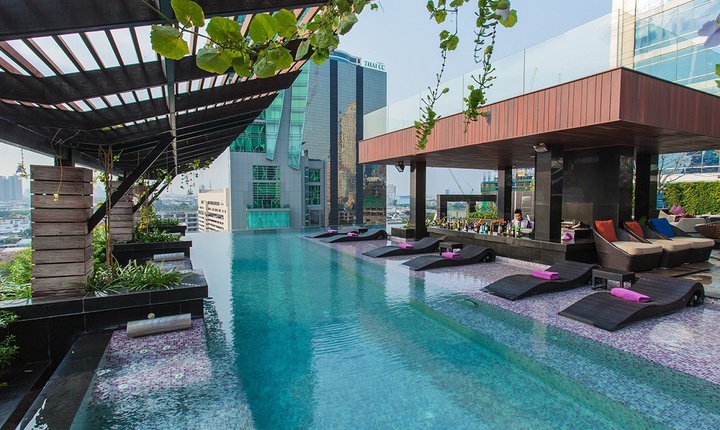 Mode Sathorn Hotel Bangkok offers its guests a variety of activities and experiences, such as one can unwind and relax at the in-house wellness centre, explore the nightlife of Bangkok and collect some souvenirs from the local markets. Yes, breakfast at Mode Sathorn Hotel is included in the price. The in-house restaurant of the hotel offers an exotic buffet breakfast to all the guests. 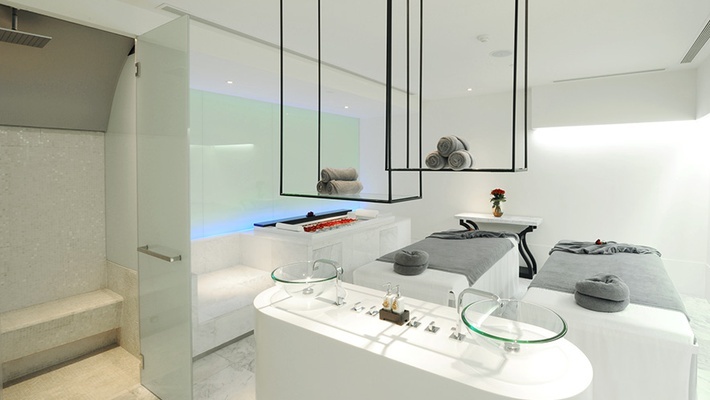 Does the Mode Sathorn Hotel offer massage treatments? Yes, the hotel offer massage treatments to its guests. 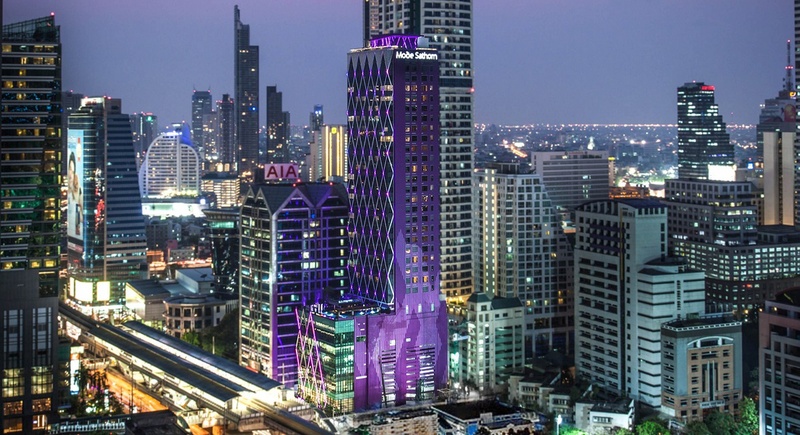 Located in the proximity of the city, Mode Sathorn Hotel Bangkok is a perfect place for those who are planning to spend an amazing holiday in Bangkok. The hotel promises to offer warm hospitality with impeccable services to all its patrons. 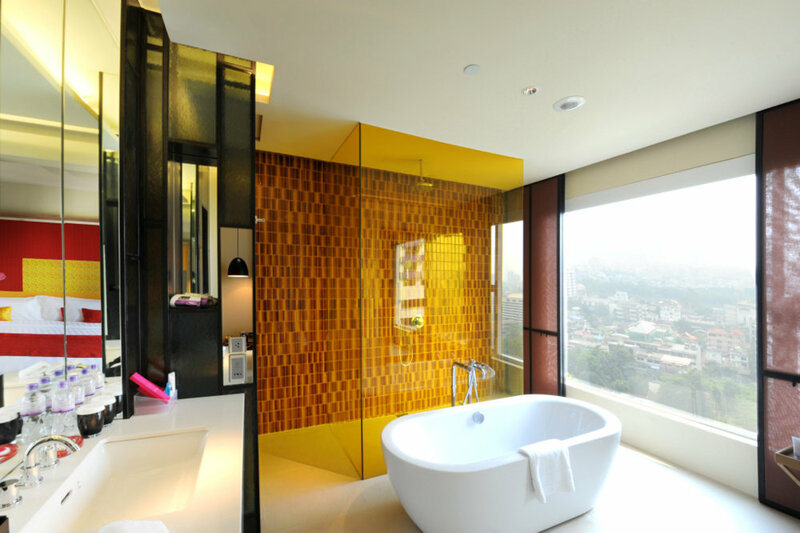 All the rooms at the property are tastefully designed to cater to the needs of all the guests. The spacious rooms and suites of the hotel come with a private balcony overlooking the vistas of the city and Chaopraya River. 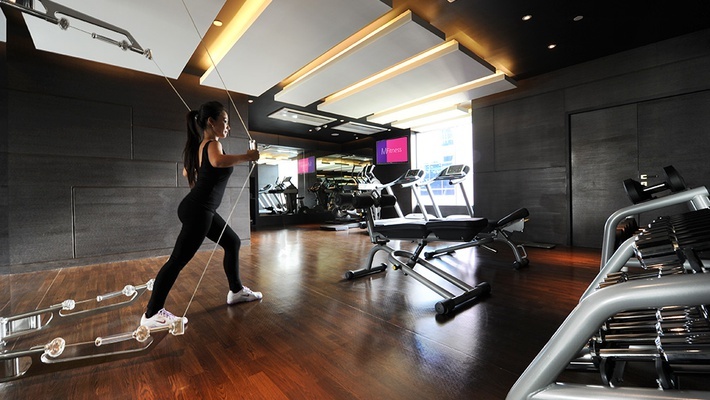 Tourists can indulge in a wide range of recreational activities offered by Mode Sathorn Hotel Bangkok. One of them includes rejuvenating and relaxing at the wellness centre, which offers a full range of massages and therapies. 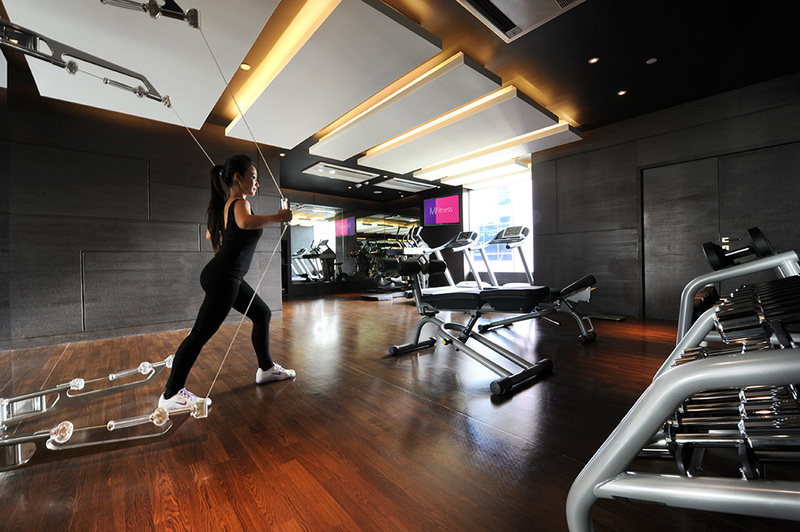 Guests can also maintain their fitness regime at the in-house fitness centre. 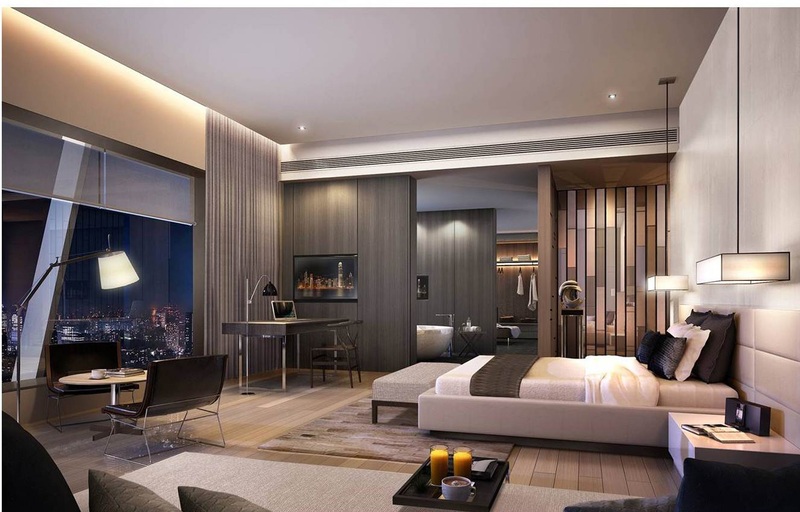 With a perfect amalgamation of elegance and comfort Mode Sathorn Hotel Bangkok is an ideal choice for spending vacations in Bangkok.